Beauteous 2016 Blogger Template by Free Templates is a one of Free Blogger Templates created for Fashion, Travel, Lifestyle and Food bloggers. Designed with readability in mind, Beauteous highlights what’s important – your content. Its efficient use of space, clean lines and excellent typography make your blog a pleasure to read and browse. 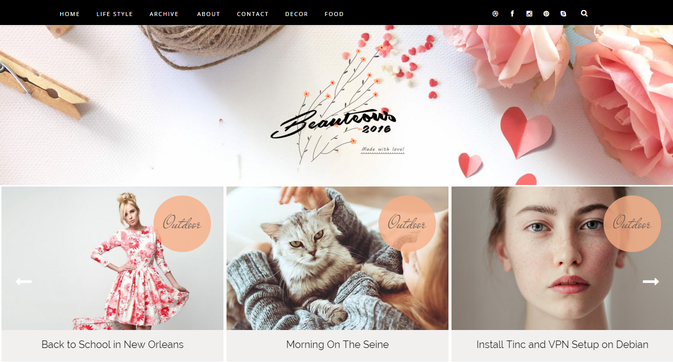 Free Templates presents to you "Beauteous 2016" our most elegant Blogger templates of 2016.